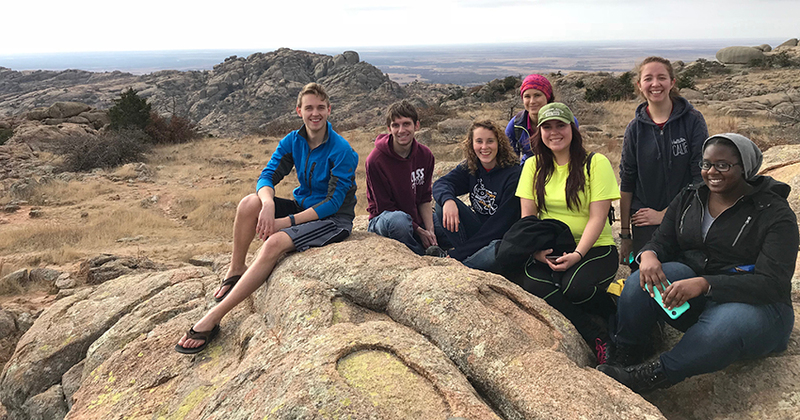 Southwestern Adventist University’s entire Ecology class was presented with the opportunity to go on a weekend long trip to Wichita Mountain Wildlife Refuge as part of their lab assignment. The purpose of the trip was to get the students into the unique environment of a specific eco-system where they could see first-hand what they were learning in class. 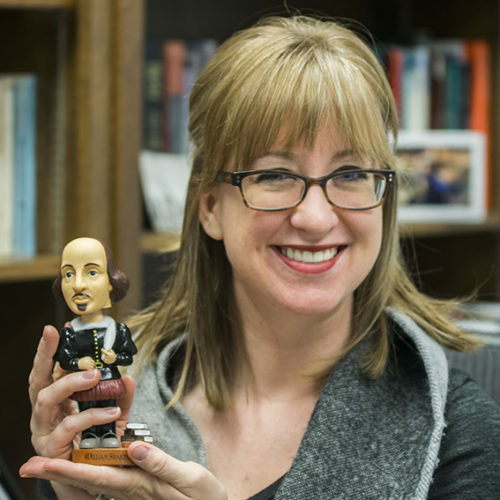 They left for Comanche County, Oklahoma, the morning of Thursday, Nov. 30, and returned to Keene on Saturday night, Dec. 2. Typically, when the Ecology class goes to Port Aransas they get to sample the ocean and coastal eco-system, but this time they got to see prairie eco-systems and view the wildlife. Spending time in nature and experience hands-on wildlife was an enjoyable experience for those who went. 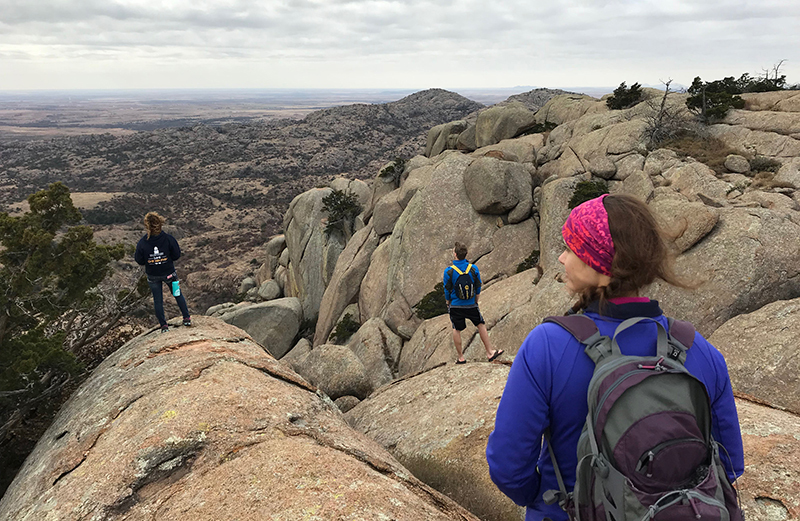 The group that went camped, climbed a couple of mountains, went to the Holy Mountain in Cache, Oklahoma, and the Medicine Park Aquarium and Natural Science Center during their trip.